VisArts’ current studio fellow, Liz Lessner, will introduce J.T. Rinker who will discuss his installation, Soliloquy. This work focuses on the alternate mode of hearing known as bone conduction, in which vibrations are transmitted to the inner ear through the skull. The title is a reference and inversion of the dramatic device in which a character speaks thoughts aloud. Soliloquy references iconic sound artist Alvin Lucier and explores the mechanics and phenomenology of embodied sound. About the Artist: J.T. Rinker is a composer and media artist working in Troy, NY. 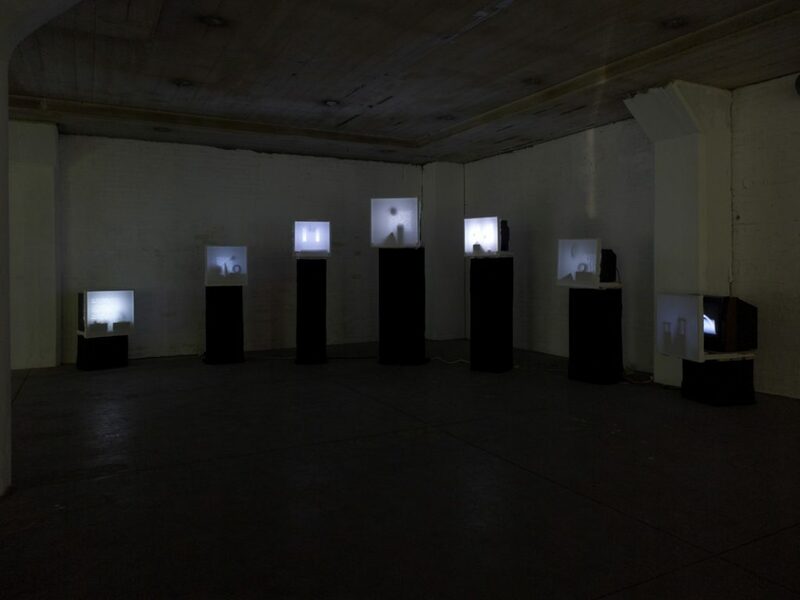 His current practice includes traditionally defined work in acoustic, electroacoustic, computer assisted and interactive computer composition, as well as cross-disciplinary work in multi-media installations, physical computing, kinetic sculpture, film, and video. His work is informed by and often combines elements from these various fields.